The FSU and other unions on campus, along with UMB students, are speaking out against the Board of Trustee's decision to raise fees and against the rising tide of student debt. You can see coverage of this issue here, here, and here. Welcome back to campus for those of you who are returning. 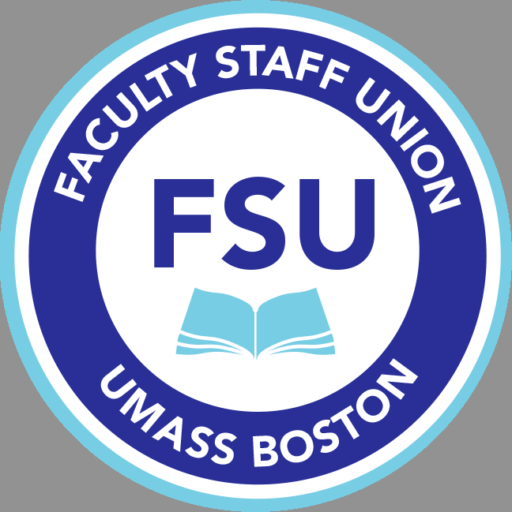 For those of you who are new, welcome to UMass Boston and the Faculty Staff Union email update. ►Our retroactive raises will be paid: In the paychecks scheduled for October 23, the administration plans to give us our retroactive cost of living raises owed us from July 1, 2014 to May 2, 2015 and our retroactive merit pay owed from January 2015 to May 2, 2015. We will be receiving our retro pay! It is my greatest pleasure to inform you that we will receive our retroactive salary increases back to July 1, 2014. Recall that we finally received our cost of living increases on May 3, 2015, but these were supposed to begin on July 1, 2014. We received our merit pay in June 2015 (back to May 3), but merit pay was supposed to be awarded back to the first paycheck in January, 2015. We are now scheduled to receive back pay for both of these raises by the end of October of this year. We will keep you informed. Please see the following email sent from the FSU to Emily McDermott of the Provosts Office in regards to recent letters sent to NTT concerning the conversion to the new contract language. You will note that the email below also contains advice from the FSU to NTT members on how to respond to the letters you have received. In addition, please note the last paragraph- once we have received the comprehensive data from Admin on all NTT conversions we will analyze the information and contact members with further advice and information. ►Our raises: You should have received your cost of living raise back to May 3rd, 2015 in your last paycheck. You will receive your merit pay hopefully in your June 19th paycheck back to May 3rd. The university is still working on these. We are still trying to get your full (instead of only 2 month) raises for this year. JOIN THE UMB RALLY THIS WEDNESDAY, MAY 13th TO GET YOUR RAISES! If you have not yet signed the petition demanding this, please sign it here.